Affordable services for small and mid-size chambers and associations. When I was in graduate school, I had the pleasure of taking a few classes with a talented chamber executive, Bill Hanbury. Several of us who were studying community development were talking one day about what one could do in that field, and Bill volunteered that chambers of commerce were a great place to make a difference. He was kind enough to invite the then-CEO of the Association of Chamber of Commerce Executives, Paul Greeley, up to Boston to speak to us – and I knew immediately that this was the field for me. A few months later I found myself living on the Gulf Coast of Mississippi, and I received a call that the Executive Director position at the Jackson County Area Chamber in Pascagoula, Mississippi, was available. To make a long story short, Bill wrote me a recommendation, I found myself running a 700-member chamber at the tender age of 24 – and I’ve never looked back. I’ve tried other things, but I’ve never enjoyed anything as much as running a chamber (though running Associated Builders and Contractors (ABC) of South Texas was a close second). While in Mississippi, one of the challenges we identified as an industry was the difficulty smaller organizations had hiring outside facilitators for board retreats – it was simply outside the budget for many of us. Harry Cowan, SE Manager of the US Chamber of Commerce at the time, volunteered to train a number of us so we could help our colleagues. Since then, I have always enjoyed facilitating board sessions for my colleagues and friends. When the time came for me to leave my most recent organization, I knew the time was right to make that a full-time effort. Around the same time, Raymond Towle, Vice President of the US Chamber’s institute for Organization Management, and Bob Harris of the NonProfit Center, encouraged me to teach for Institute. I am delighted to be in my first year as faculty (though I did teach one class as a regent). I am thankful to both of them for giving me a “shove” in the right direction, and to the many mentors I’ve had over the years, most notably Paul Latture, for guiding my career in this exciting industry. Now it’s my turn to “pay it forward” – what can I do to help you? 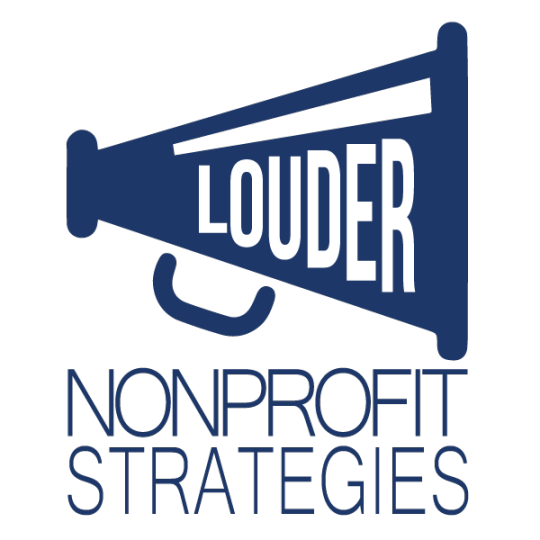 For more about Claire Louder and Louder NonProfit Strategies, visit our About page.